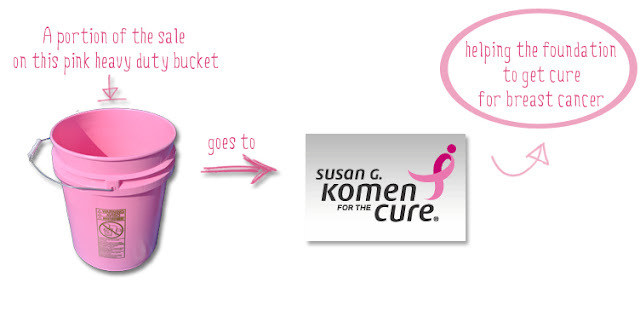 Bay Tec takes part in Susan G. Komen for the Cure action by donating a portion of the profit made in selling Pink 5 gallon food grade plastic bucket. You can also join the cause if you wish. 1. Approximately 200,000 women are to be diagnosed for having invasive breast cancer in the US this year? 2. Perhaps 40,000 of them could die from the breast cancer? 3. In the mean time there are 2.5 million breast cancer survivors in the United States? 4. The number of deaths in breast cancer is fortunately declining, due to early detection and treatment? Help make it better for women (and a small number of men) who are suffering and/or in risk of getting breast cancer. Support the breast cancer movement by donating, volunteering or simply watching over the people you love that are at breast cancer risk.